Many dermatologists regard the Gemini KTP/NdYag laser as the gold standard for treatment of vascular lesions (broken capillaries), blotchy red skin and rosacea. “The flushing and telangiectasias associated with rosacea are notoriously difficult to treat with standard medications. Newer technologies, namely medical lasers and light sources, have made it possible to control and improve erythematotelangietatic signs of rosacea. The potassium-titanyl-phosphate (KTP) laser in particular is an efficacious and safe tool for treatment of this disease. Conclusion: The latest addition to the laser armamentarium is the KTP YAG laser. Its relatively short wavelength at 532 nm and high affinity for oxyhemoglobin makes it ideal for targeting vasculature that is superficial in the skin. Unlike the PDL, which causes explosive vessel rupture and leakage, the KTP YAG allows for a slower, more gentle heating, coagulation, and collapse of the vessel. This minimizes pain and purpura. 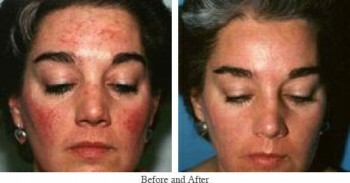 (Treatment of erythematotelangiectactic rosacea with a KTP YAG laser. Journal of Drugs in Dermatology. 2005 Nov-Dec;4(6):760-2., Miller A., St Louis Skin Solutions, MO 63131, USA. The treatment consists of a number of laser pulses accompanied by a tingling or slight burning sensation. The laser handpiece is continuously chilled, during treatment, which provides a more comfortable and safe procedure. If you are doing a full face procedure you can use a local anaesthetic cream, Emla cream prior to treatment. What does my skin look like after the treatment? You may experience skin redness and warmth after the treatment. We apply cooling onto your skin after treatment. Sunscreen and Synergie natural minerals are applied to protect you skin from the sun and to even out any redness. No one will be able to discern that you have had a laser treatment if you return to work immediately after the procedure. You may experience some swelling, particularly the next day that may last a day or two following treatment. Some scabbing and even blistering may be occur but is uncommon. The side effects are rarely noticed by others if you cover with make-up. Most people continue normal activities after the treatment. Others prefer to undertake the treatment after work and are able to return to work the next day without feeling self conscious. A consultation with one of our specialist nurses is required to determine your suitability for treatment. 70-90% improvement in redness and capillaries. Rosacea is an inflammatory condition of the skin. It is characterised by redness and flushing, and typically occurs on the faces of people with fair skin type. The 532 nm wavelength of the Gemini laser has an affinity to the colour red. size used by the laser to trace vessels from 1 mm to 5mm in .1 increments. trace your vessels to give you superior results compared to other machines. side effects of burnt skin or less effective results. With the Gemini laser we can be very accurate and not cause damage to the surrounding skin. In addition we can treat your whole face for background redness by going over the whole face with the 10mm spot size. 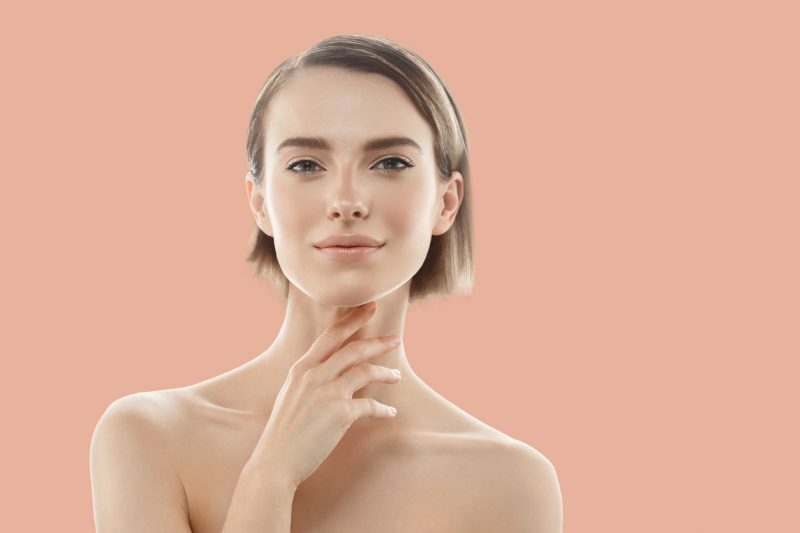 In addition, to reducing redness, your skin will be improved in quality and texture, including a reduction to you pore size which is readily noticeable.